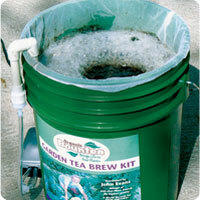 Fill the brewing container with CLEAN water for the desired brew size. 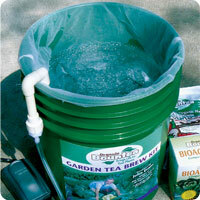 Plug in the pump for 1 hour to purify and de-chlorinate the water. 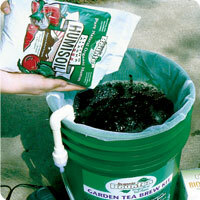 Place the correct amount of Humisoil in the brewer: 2 quarts for a 4-gallon brew. Brew Bountea for 24 hours. Stir the liquid a few times during brewing. Foam is normal and natural. Add M3 or B3 for the last hour of brewing. 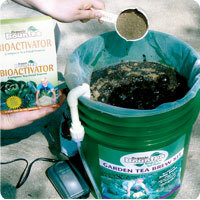 Add Root Web immediately before diluting and applying Bountea. See BREWING TIPS for more information.